This guide walks used car buyers through the second-generation C4. It has been sold new in the UK since 2010 and was discontinued in 2018. Citroen gave the C4 a facelift in 2015 and improved some of the interior fittings. Which other family hatchbacks are also worth a test drive? You can’t go wrong with the Volkswagen Golf but be warned: for the same budget, it will be considerably older and have more miles on the clock than a used Citroen C4. Another highly recommended family hatchback is the Ford Focus. It’s one of the very best to drive, and is nearly as good value as the Citroen C4 on the used car market. 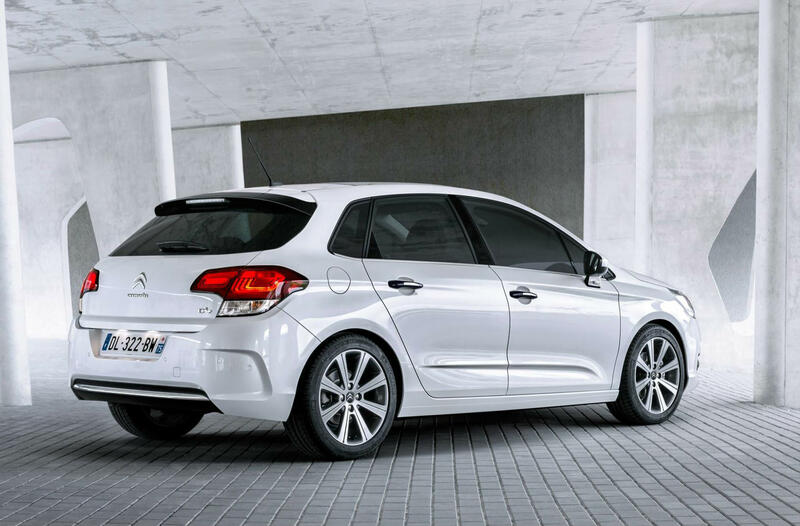 Shoppers should also consider the Kia Cee’d and Toyota Auris. The Kia comes with a seven-year warranty from new, so would have a meaningful amount of guarantee remaining; the Toyota is a dependable car which also comes with a five-year warranty. Also try the Peugeot 308, which is stylish and surprisingly good to drive, and the Vauxhall Astra, which matches the C4 for value-for-money. There are cars of this type that have smarter, more stylish interiors and some that offer more space. However, on the whole, the Citroen C4 is practical, reasonably well equipped and feels as if it’s built to withstand the demands of family life. The dashboard is perhaps a little more user-friendly than that of a Ford Focus, mainly because the touchscreen system is less of a stretch away. It’s no work of art, and the quality is not going to turn a VW Golf or Audi A3 owner green with envy, but at the end of the day it’s designed to be easy to use. The driver’s seat position is quite high-set, which may not suit all shapes and sizes, so buyers should be sure to try it on a test drive. Back seat space is average for this type of car, but the 380-litre boot is better than rivals including the Astra, Focus and Golf, and as well as the usual split-fold seat backs there’s a ski-flap for longer loads. 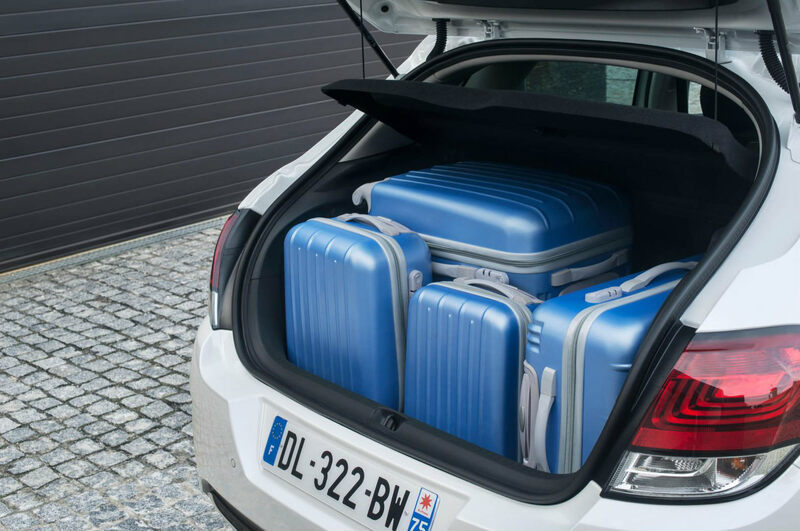 For details of cars with super-size boots, see our handy guide to the biggest holdalls. Even if you pick one of the more affordable C4s in the entry-level trim, Touch, the car comes generously equipped. Features including air conditioning, heated electric door mirrors, front electric windows and cruise control were standard. However, our pick would be the mid-range Feel. On top of the Touch’s features, it added alloy wheels, tinted rear windows, stop/start technology on certain engines (to help maximise fuel economy) and a DAB radio with Bluetooth hands-free for smartphones. If you must have all the bells and whistles, Flair is the top-of-the-range model and came with a 7.0in touchscreen infotainment system with Bluetooth media streaming, rear parking sensors, rear electric windows, chrome door mirrors, dual zone climate control and automatic lights and wipers. Decades ago French cars had a reputation for being flimsy but the C4 shows how much companies like Citroen have moved the game on. In independent crash safety tests, performed by Euro NCAP the C4 was awarded not only a maximum five-star rating but also achieved excellent scores for adult protection and child protection, of 90 and 85 per cent respectively. All models featured an electronic stability control system as standard and came with a novel speed limited device, that the driver could set to sound an alert should they exceed, for example, 70mph when driving on a motorway. The character of the C4 is calm and composed. This is by no means a fun or satisfying car to drive; instead, it aims to be one of the smoothest and quietest. To achieve that, engineers used double-layered insulation for the windscreen and thicker glass on other windows, and the suspension is tuned to be as soft and supple as possible. Unfortunately, this means it feels rather lethargic on a nice stretch of winding road, and the steering is light and gives little information about the tyres’ grip levels. In short, a VW Golf or Ford Focus is nicer to drive. If you want to cruise quietly and use as little fuel as possible while doing so, the diesel-powered 1.6-litre HDI (100) is the most frugal, with a claimed fuel consumption of 85mpg on some versions. So check the car’s advertised fuel consumption carefully to ensure you’re buying the right one. There’s also a choice of petrol engines. The 1.2-litre Puretech motor can return up to 60mpg in some versions, while the more powerful 1.4 VTi in the VTR versions manages 46mpg. The 2.0-litre BlueHDI (150) engine is the biggest engine you can get in the C4, and can manage up to 78mpg, depending on the version. The 1.6 BlueHDI 100 is the entry-level diesel engine and is most fuel-efficient and cleanest when fitted with a start/stop system, returning up to 85mpg. The 1.2 Puretech 110 is one of the most affordable versions of the C4 on the used market, but also one of the least powerful. Age, mileage and the C4’s trim level varies at this price point, so decide what’s most important to you and choose a car with a complete service history. You’ll get a lot of car for your money at this price point, and there’s probably little benefit in spending more. Cars in this price range will be 2016 models with very low mileage and should feel as good as new.